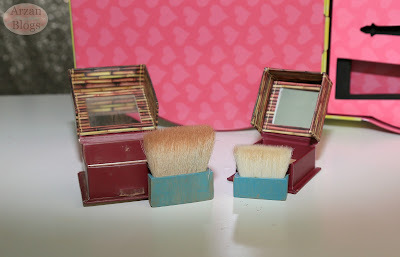 Benefit Sassy Lassie holiday set retails for $39 USD ($49 CAD) and includes 3 full size bestselling products, 1 travel size bronzer and collectable tin. POREfessional Face Primer (full size - 0.75 oz) $31 USD ($39 CAD) is my favorite primer. It's a silicone based primer that's great to fill in pores and mattify skin. I have combination skin (oily t-zone) and enlarged pores, so I like to focus on those areas. It gives me a smooth application and prolongs the longevity of my makeup.This is the primer that I use mainly to fill in my pores. 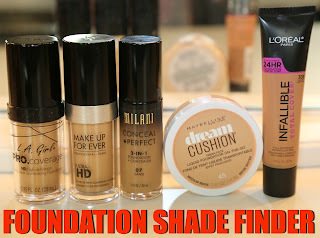 Sometimes I even use it on its own without a foundation. Although this does initially mattify skin, it won't keep oily skin under control. Roller Lash Mascara (full size - 0.3 oz) $24 USD ($31 CAD) is my current favorite mascara. I love how it defines and lifts my lashes. It's waterproof and very long wearing. I don't notice any fallout and it looks good even by the end of the night. It also lengthens my lashes and gives a bit of volume. 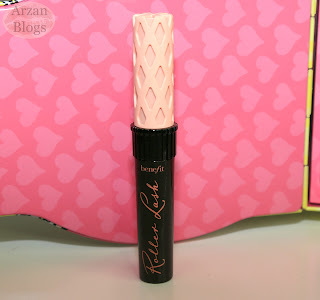 This is one of the mascaras that I can't stop repurchasing and I always go back to it. I'm glad Benefit included it in this holiday set! ka-Brow! Cream-gel-color with brush in 03 Medium (full size - 0.1 oz) $24 USD ($30 CAD) is a cream-gel product that's very creamy and easy to use. I got a deluxe size of it and reviewed it on my channel. Click here for my review. It's waterproof and long wearing and reminds me a lot of Anastasia Beverly Hills Dipbrow Pomade but costs more, so that's why I didn't buy the full size of it. 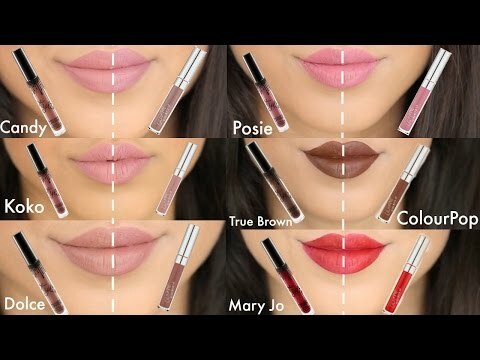 Getting it in a set like this is great if the shade 03 Medium works for you, which isn't the case for me. I will give this one away but I don't mind since I am planning on using the other products. 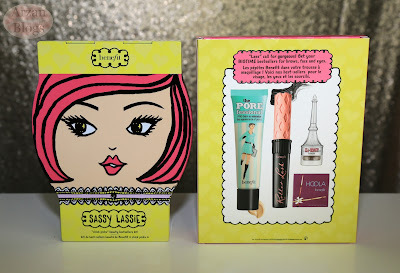 After buying this set, I realized that Benefit Cosmetics Dolly Darling set would have been perfect since all the products in there work well for me. 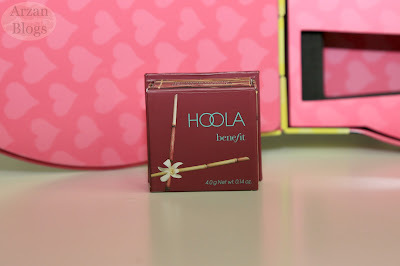 Hoola Matte Bronzer (travel size - 0.14 oz) $15 USD ($20 CAD) is a matte bronzer that I absolutely love! It comes with a brush, so it's very convenient and travel-friendly. It works well even on my tan skin but I do wish they had another shade for deeper skin tones because this bronzer is just amazing! It's very easy to blend and it's not too warm, which I like. 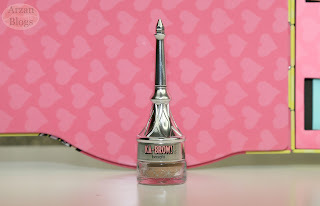 This is my go-to bronzer! 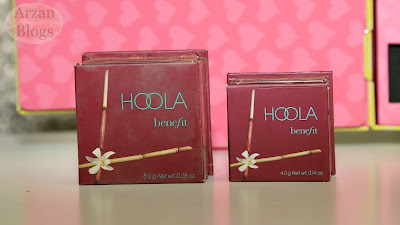 The bronzer included in this set is travel size (0.14 oz), which contains half of the product of the full size Hoola Bronzer (0.28 oz). Travel size bronzer is also sold separately and retails for $15 USD ($20 CAD). I'm glad there's a brush in the travel size Hoola Bronzer just like the full size one because the brush is amazing and really blends the product well. 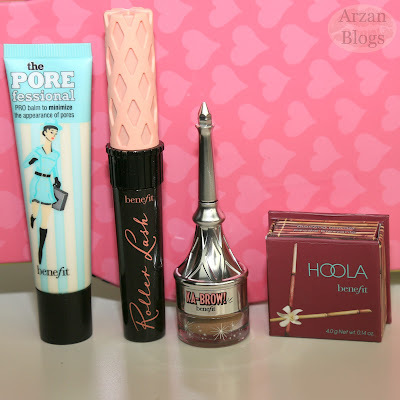 Overall, this is a great value set and it's perfect to try out Benefit products and/or restock on some of the products included in this set. This makes a great gift too! 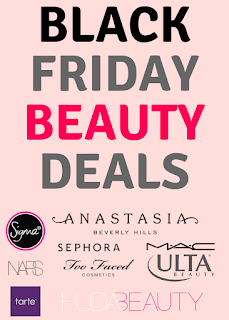 Three of the products (primer, bronzer and mascara) are my favorite but the brow product shade doesn't work for me. However, I still don't regret buying it because it's still worth it for me to get the products in this set rather than buying them individually.